People often say “Oh wow, this year has flown. I can’t believe it’s almost over.” But for me, this feels like the longest year in existence. It’s been an absolute roller-coaster of a year, where I’ve gone through minor breakdowns, major breakthroughs, had some self-doubt, learnt self-love, sought out new things and cherished some of the old. I feel like (partly down to blogging) this has been my richest year yet – one with many happy memories and some not so good, but ultimately I’ve come out of it a different person. So here is my A-Z of 2018. 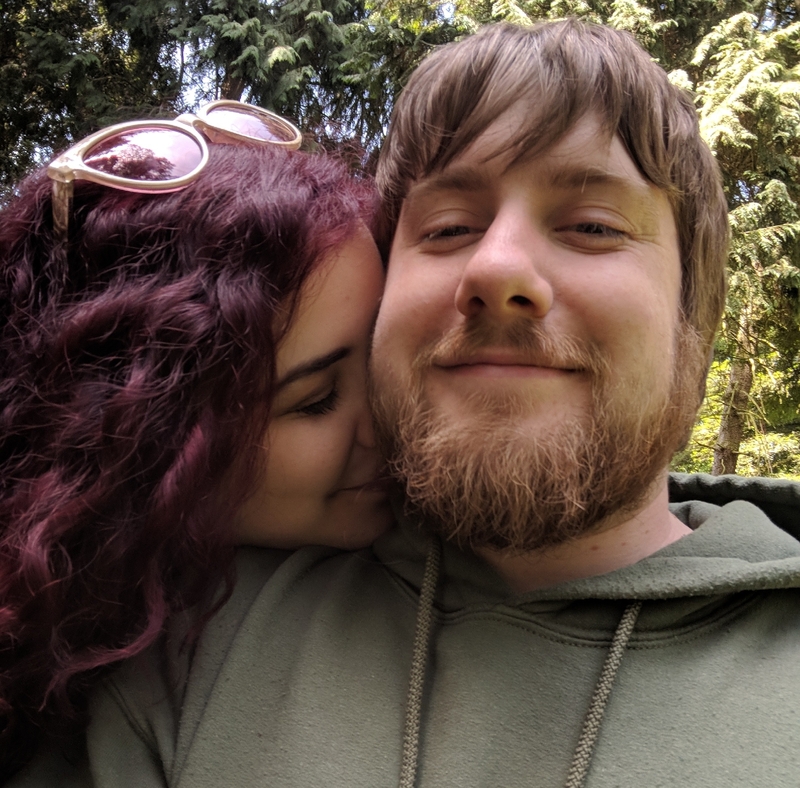 I hope you take the time to read it, because seriously, it’s been a wild ride. Firstly a little look at my achievements, because when you’re so focused on the day-to-day you don’t realise how far you’ve come. My blogging numbers have quadrupled from 2017 to 2018 – that’s just fantastic for me. I couldn’t be happier! I will aim to maintain or increase these next year! My friendship and collaboration with the Big Comfy Bookshop has only gotten stronger throughout this year, and I’ve been so lucky to be a part of their community. 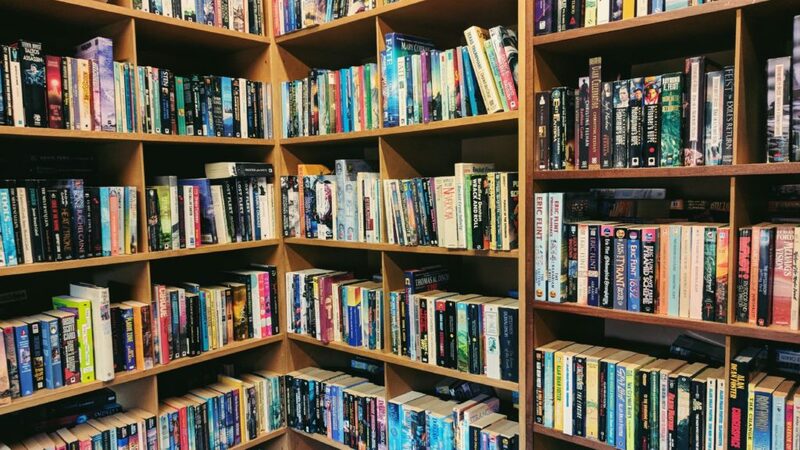 I have written a couple of posts for the shop on their blog, and I just want to work more and more with them over the coming years! I did a lot of local collaborations this year, including one with Galactic Plastic, Bubble Boba UK, Etch and Pin, Big Comfy Bookshop, BackHaus, Scentopia, Magic Alley, Warren’s Bakery and so many more! I didn’t realise just how much I’d done this year. Here’s to many more next year! 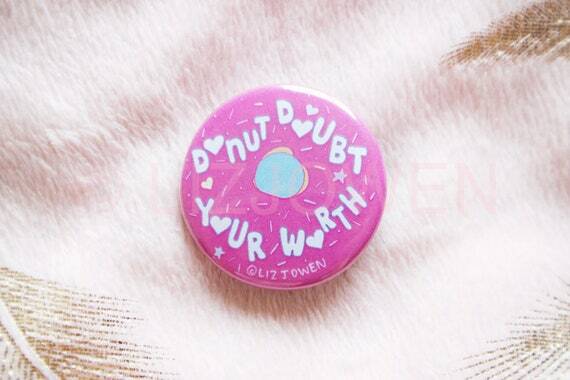 My friend Lizzie, made a little badge which has the pun “Donut doubt your worth” on it (pictured below). It inspired me, to write a piece at one o’clock in the morning, calling out someone who had made me doubt my worth and finally get his poisonous words out of my head after 10 years. I learned that I can live my life loving who I am and embracing it. I absolutely love enamel pins and got a bit of an addiction forming this year; so much so that I wrote a whole post about it and then collaborated with Etch and Pin on an interview post! 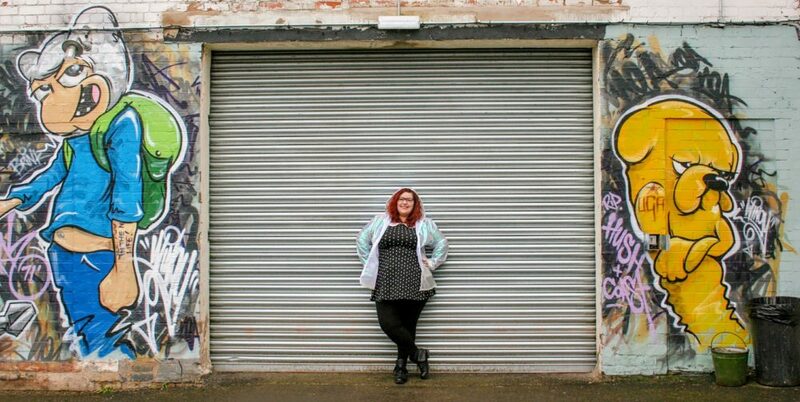 It was one of my best moments of collaborating as a Coventry Blogger! 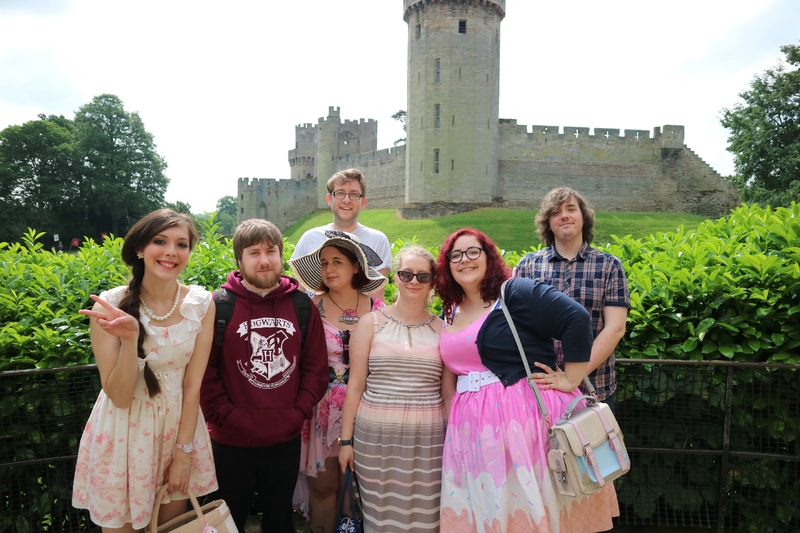 One of the best days of my life thus far, was a trip to a nearby castle with a select group of friends. It was such a strange day where I was taken over by a incredible sense of euphoria. To be honest, it was a little bit of an epiphany for me. It was the first time I felt free in a very long time. 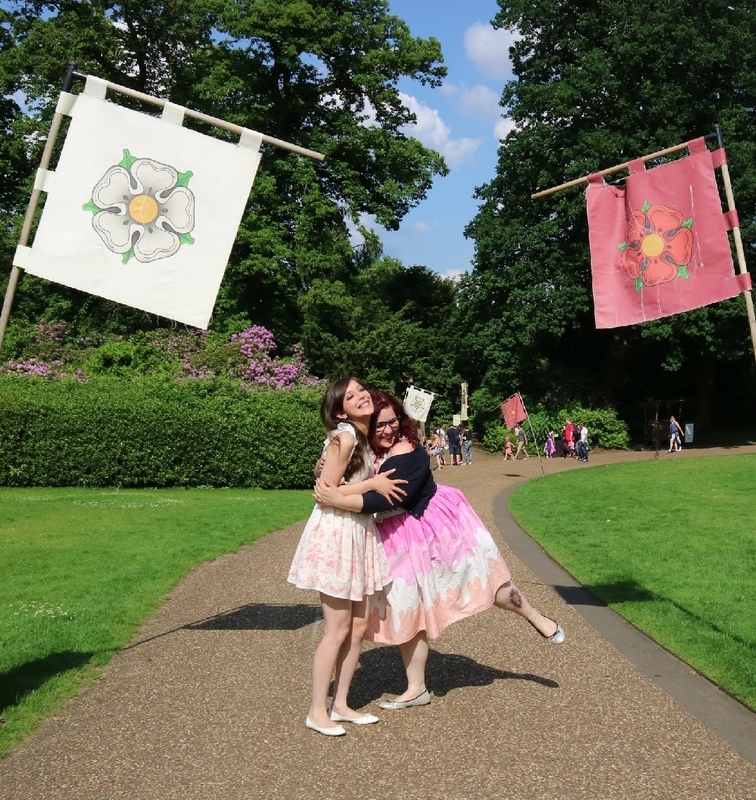 I feel I have sufficiently maintained by geek status throughout this year, and have produced a whole sub-section of posts all about nerdy things! 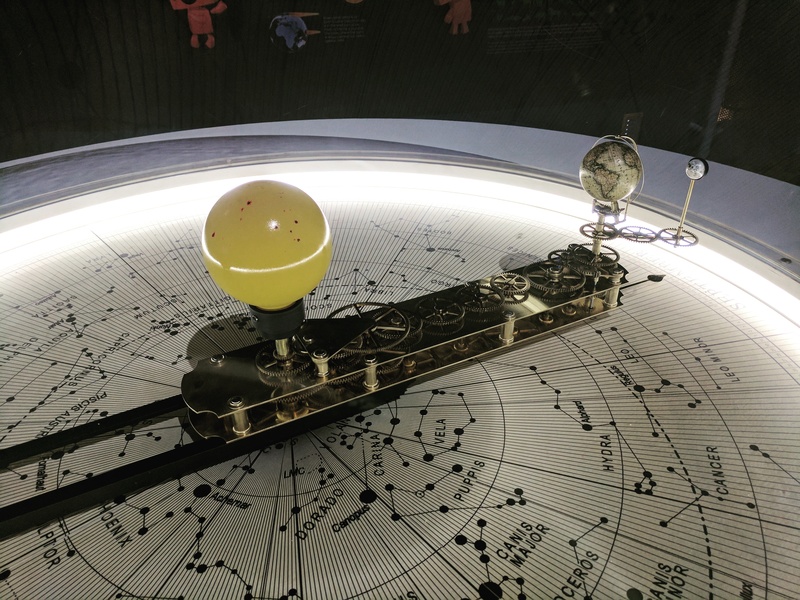 Some of my personal highlights include, the Evolution of Sci-Fi and 7 ways to Geek Out in Coventry. 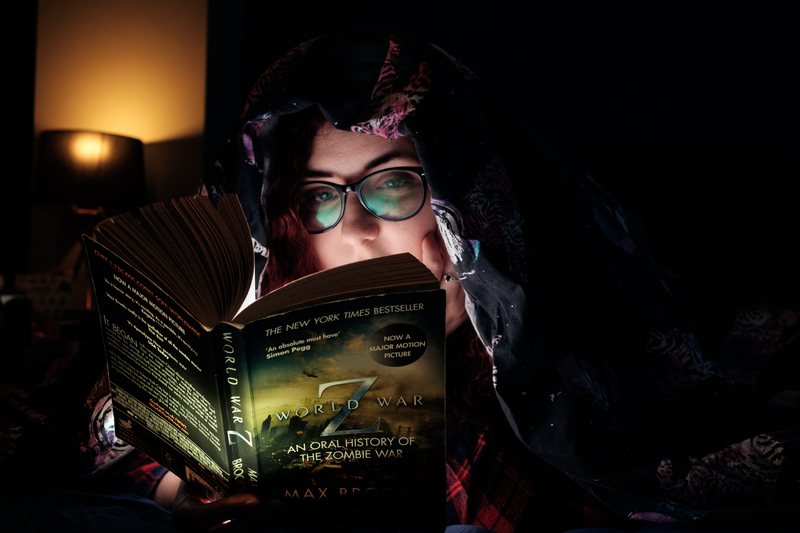 I am going to up my Geek game next year and make sure to post more in my Geeking Out Loud category! I wanted to seek out places in Coventry and did a few tours with my friend Dominic “History Talker” of my hometown. 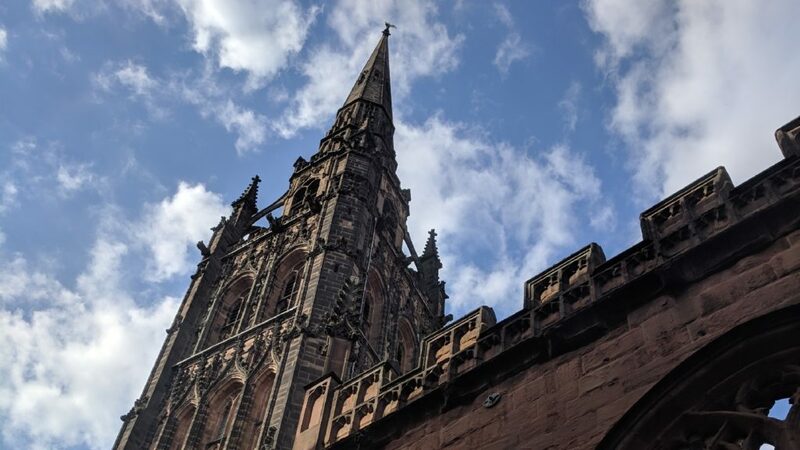 We sought out the beauty of the churches and cathedrals, and also went for an exclusive tour of the Medieval Undercroft – definitely a highlight of my year! Half way through the year I had a weird epiphany – I broke free of some of the material items that I’d hoarded and made some drastic life changes, in the form of leaving my current home and basically shaking my entire foundations of my life in the process. It was the scariest and strangest thing I’ve ever done, but I feel all the better for it. I’ve not focused much on Japan this year, but it is still somewhere I desperately want to visit! I really want to spend a month or so there, really taking in everything I can and experiencing it to the full. Until then, I will just take in as much anime as possible, drink Bubble Boba tea, and eat a ridiculous amount of Japanese Snacks. I really wanted to try Korean BBQ and I wanted to make a big deal of it. This was one thing I’d wanted to do for so long, and so I thought as part of my 30 before 30 goals, I would try 30 new foods, including KBBQ. I was not disappointed! I am going to write up my 30 foods post as soon as I’ve tried enough new things! Half-way through the year I did a bit of satirical post about how I’ve not achieved anything since my Little Princess 1993 award. Of course, this was a little bit of self-deprecation and I actually do feel I’ve achieved something… probably… right? Muggle Musings has been one of my biggest achievements this year. 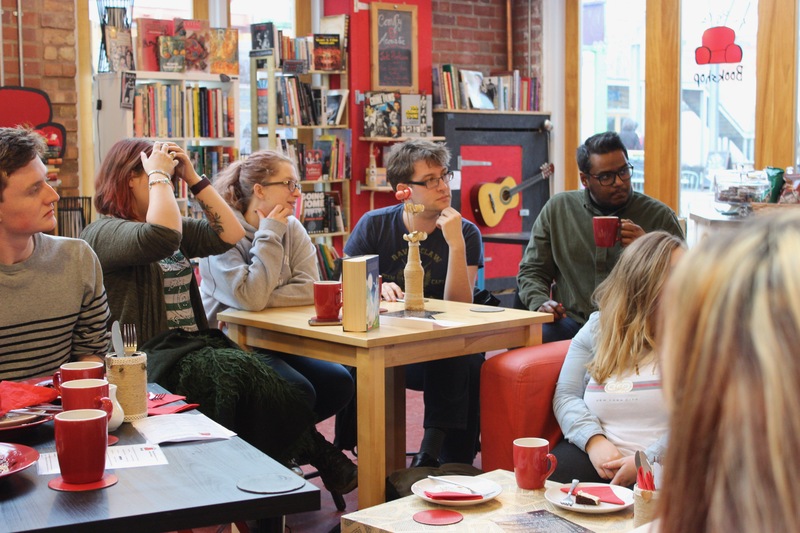 Running a successful discussion group is something I feel I can be proud of. 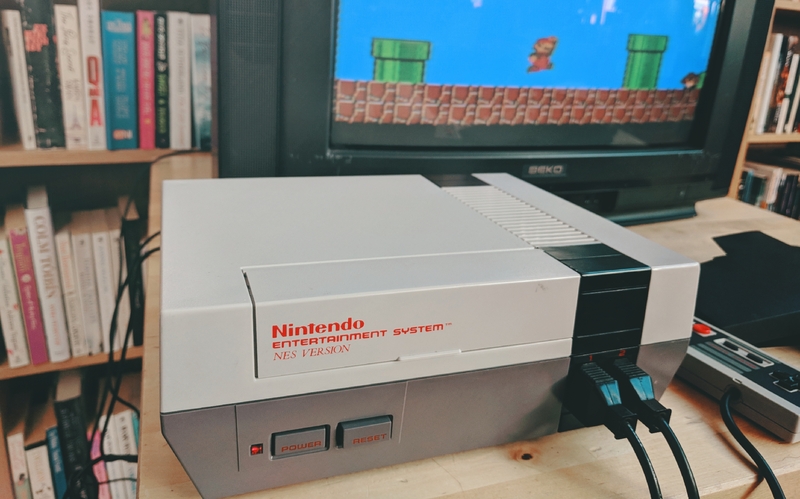 It introduced me to some new fantastic friends and although I’ve had my love-hate relationship with it during my anxious times, I am glad it’s still going to be carrying on in 2019! In 2017, I did my first post about 90’s Fads – a post which my boyfriend said first drew him to my blog in the first place (and it made him want to meet me… because I am THAT cool.) I promised a second one would come out, and finally released it in 2018… It was a good job he wasn’t waiting for it or anything! I thought I’d round off the year with a full list of all my bloopers! All those times that the photos were less than okay… I blame the elements mostly. Sometimes I just thought… HOW did I even do that? Somehow a post with one of the best ratings this year was my tutorial on comic book flowers, that I learned at Papercraft Club! They are brilliant fun to make, so maybe it was a useful thing for others to learn too and that’s why it the post did so well! There was a point near the end of March where I had some major doubts as to whether I should continue with blogging. I had completely lost sight of who I was, what I was doing and why I was doing it. I was being pressured into this thought that I had to be a certain way, until April when I made my comeback post and decided NEVER again would I be manipulated by others! I’ve done so many Harry Potter posts again this year! I thought that I’d peaked last year with my Harry Potter Party (which is still one of my highest rating posts to this day) but I managed to do so many more! 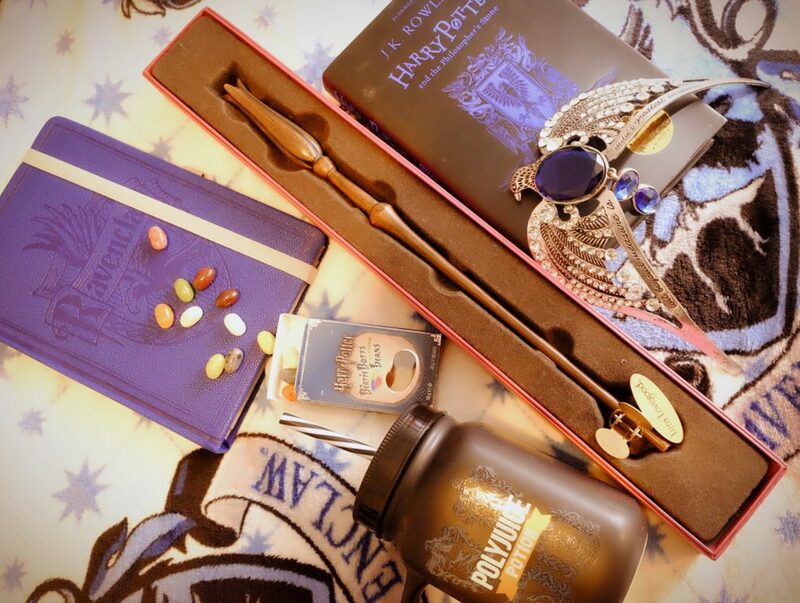 Next year I plan to keep it up, and get my Ravenclaw posts coming! I would not have done half the things I’d done, or still be writing to be honest, if it weren’t for Shane. He doesn’t know I am writing him into this post but, I think if I’ve learned anything this year, it’s to be true to yourself and your feelings. I never thought I could feel so strongly for any other human in the world. One of my most viewed posts this year was all about my terrible tattoos – this was the first post that made me feel like myself again after all my struggles in March trying to be something I wasn’t. Just as I can’t change my tattoos it reflects on how I shouldn’t change who I am. I love purple, it’s kinda a big theme on my blog and in my general life! 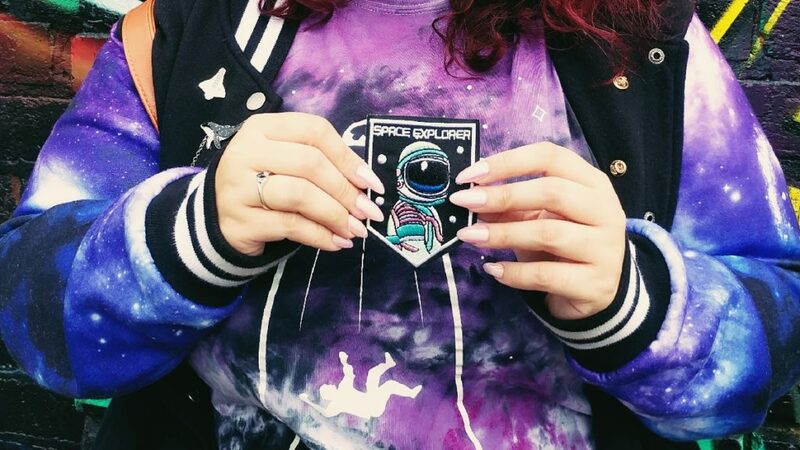 It reminds me of space and the Pantone of the Year this year was Ultraviolet so we finally got some space-themed things in shops! Working in fashion, I always see the trends 2 years before they happen – and I was waiting for this one! At the start of the year, I had a bit of a span where I thought that blogging was all about being treated like a VIP. I went to some pampering sessions in London, and was told by peers that it’s all about the perks. While I understand that it’s lovely to be treated, it’s also about giving back! So I solemnly swore I wasn’t going to take any sponsors that weren’t representative of who I am! Something I haven’t done much this year is celebrate womankind! I definitely aim to do this a lot more next year but I couldn’t have done without the help of my female friends this year. So thank you to the creative, independent and strong women in my life – you are brilliant, inspirational and you’ve help me so much! So I got off to a really strong start with my 30 things before 30 and then this year, it’s all gone to pot! The thing is, I am not beating myself up about it. I will try to get through some more of my goals but, it won’t matter too much if I don’t get them done. After all, I’ve also achieved a good deal else in the meantime – things I never thought I could. You can’t artificially manufacture progress, you just have to try in small ways and hope for the best! For reference; so far I’ve done 13 from my list! Okay, so I’ve had my fair share of “WHY?” moments this year. I get overwhelmed easily and I am never quite sure where I’m at. After the big changes this summer I knuckled down in the Autumn, managed my time better and got back on track! Woohoo! Apparently, Zombies was a bit of a theme for this year… Firstly with the Zombie Apocalypse post and with another “Zombie Bloggers” post – calling out all of the trashy sell-out bloggers. I’m definitely going to explore more themes next year – I’m thinking fairytales, games, Dungeons and Dragons, Game of Thrones. I love doing these styled shoots! So there we have it! We’ve put to bed 2018 (a little early), and now it’s on to next year. It’s a bit daunting but, let’s hope for more of the good stuff! That’s me done until the new year now because let’s face it, most people are just waiting Christmas. Hope 2018 was all you hoped for! All the best for 2019. This is such a beautiful post and such a beautiful way to look back at the good (and not so good) parts of the year. I’m in a transition period of my life at the moment, and I think I’m going to take a moment to do this in my journal to take stock and evaluate what I want to focus on next year. I hope you and Shane have a wonderful end of 2018 and a steller start to 2019! Aw, thank you beautiful Goth Princess! ✨ love you too! 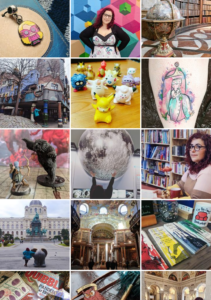 The one thing that popped into my head at the end of this post was how completely raw and human this recount of your year was – as Alicia has said you took in everything, the good, the bad and the ugly (I’m going with the phrase more than labelling anything ugly :D). You just threw everything that makes you and your blog great into one post and showed it without reservation and shame and it’s bloody beautiful. Thanks for all your comments and things over this year, hope your blog goes really well in 2019! I look forward to reading it! And didn't expect myself to pop up randomly as a letter, you're such a lovely one. The A to Z is such a good idea to get some end of year perspective; a Myndmap to summarise the year rather than the day. I like it, mmmyus. Blogging Bloopers: When Photo-Shoots go Wrong!